If you shut your eyes and listen closely, you'll hear the clop-clop of the inevitable: an iPhone that keeps getting bigger and bigger. 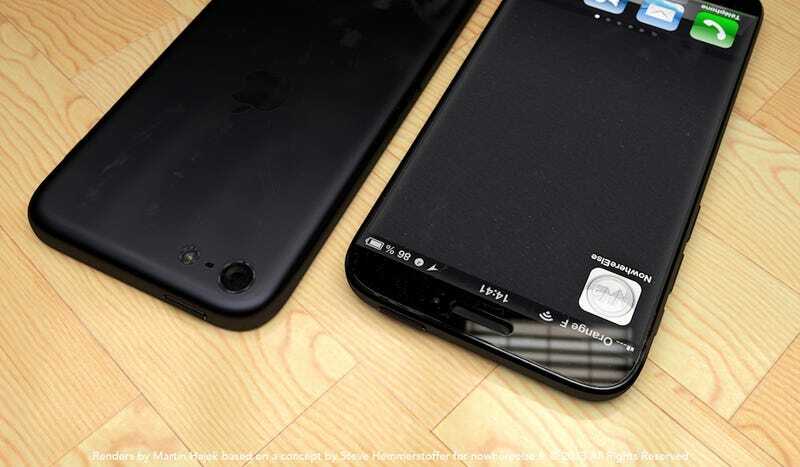 And as much as we generally hate phablets, if an iPhone Plus looked like this, we'd melt. Gizmodo reader Martin Hajek put together these gorgeous renders for Nowhereelese.fr, which imagine the iPhone Plus as a 4.8-inch wonder that eschews a physical home button for a display that clicks at its bottom—a terrific idea on its own, actually. There's barely any bezel, allowing for Biggie Phone that's virtually nothing but screen and lovely iOS. No clutter, not a stylus to be spied, and seamless aluminum in black or grey. I'll take the latter, because I'm nostalgic for the old rear end of the original iPhone.